Thanks Robert. My Droid phone arrives this week. This will be the first app I buy. Any others I can't live without? I have been wondering how well this App operates. You answered my questions. Thanks! ...I'll have to look this one up. Thanks for the review. 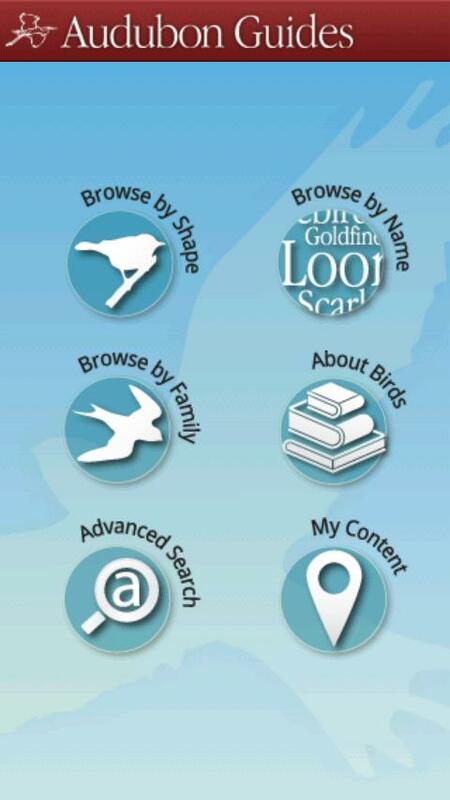 I've been using iBird Pro and like it, but I'll try this one too. The reviews indicated some problems and concerns about size of the app. Do you have any of these concerns? Thanks for your review! @Jean - glad this review helped! @Kelly - iBird Pro is pretty cool. Jim had reviewed it for me here a while back. I have the lite version right now just to see how it works and it is really neat. 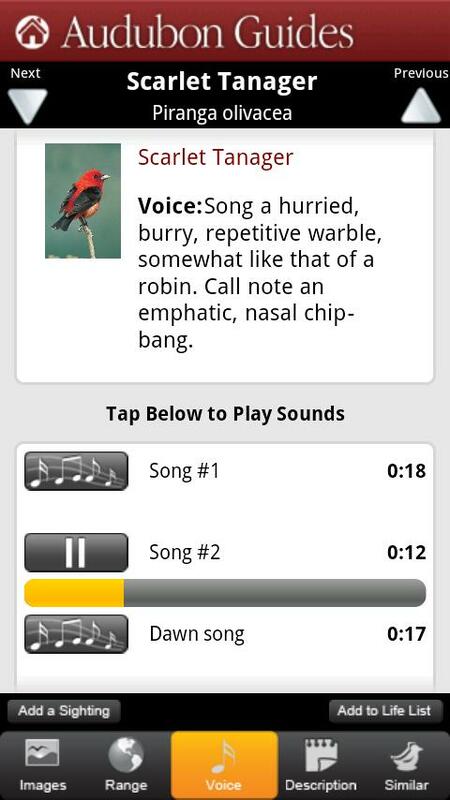 @The Zen Birdfeeder - Audubon Birds is a big app and it took me a long time to download it and it takes a minute or two to load each time you open it - at least on my device, but other than that it seems to work smoothly. Thanks! Maybe I'll give it a second look. Thanks for the review. Unlike many reviews regarding this app, yours provided me the information detail I needed to make a more informed decision on purchasing it. I use an iPad, so hopefully the features are fairly similar. 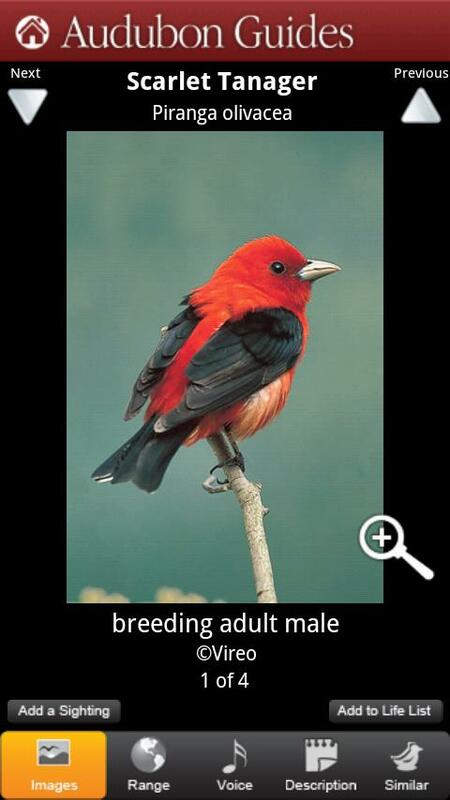 I thought I'd mention there's a new free bird identification app for the Northeast and North-Central US, for Android: http://bit.ly/birdidapp - it's the opposite of elaborate, just a simple checklist of characteristics for identifying birds, giving results for those checked. 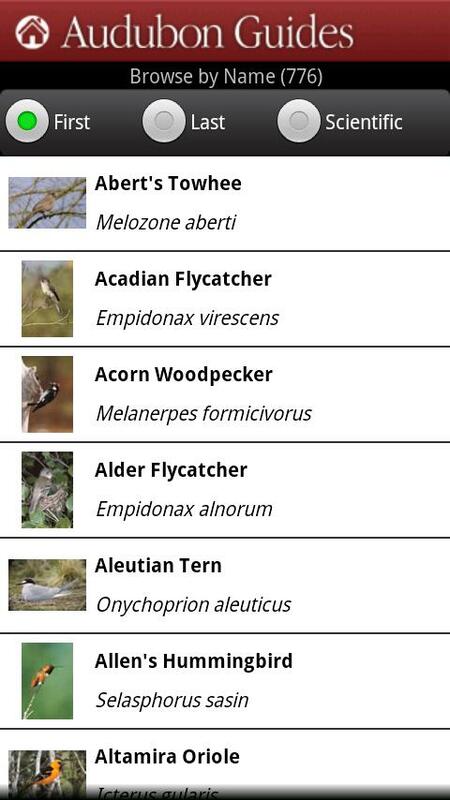 Advantages are that it's tiny (even fits on my terrible smartphone), free, stable, and helps train beginners in the things to look for when birdwatching. Full disclosure: my older son (in college) wrote it. That said, it's based on solid data and includes nearly 300 species. My web version is here (accessible by anything with a browser): http://www.realtimerendering.com/birds/birds.html - just a hobby, no advertising nor money to be made. 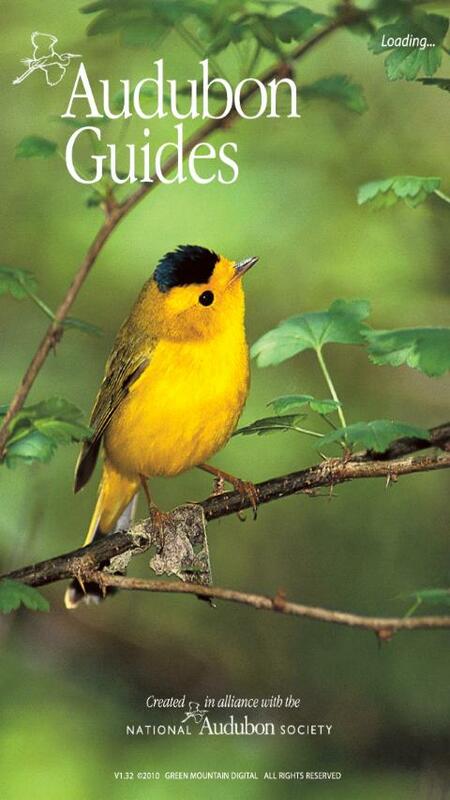 I live in Ithaca, NY, so the Cornell Lab of Ornithology has helped inspire me to do my little bit for birding. I frequently play the bird songs from my third floor balcony to draw in birds to my feeder.It works best in springtime breeding season.The photos, range maps, & identification text are simply incredible!It makes it so pleasant to assemble all identifying features to deal with species.When you load this application onto a tablet,you can bring it with you into the forested areas to utilize.